We live in a culture that emphasizes all the wrong metrics. 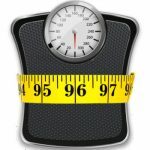 Many people have a perception that getting fit includes the number on a scale, the number on a clothing tag and the number on a nutrition label. I propose we de-centralize those numbers as they are not true measures of fitness. In this post, I would like to discuss numbers that do matter. In my first post about CrossFit I talked about what I like and do not like about CrossFit, in this post I would like to discuss some of the negatives others have to say about CrossFit. If you have been reading my fitness posts, you know that in my attempt to get fit the second time I started by joining CrossFit. In this post, I would like to talk about what I like and do not like about CrossFit. 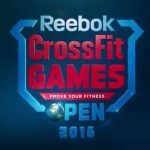 The 2015 CrossFit Open has come to an end and with it a milestone for me as well. For the last 6 months, I have been training hard to ensure a quality performance during the Open. I set out with one goal: not to get caught up on any movement. So how did I do? I have been thinking a lot about my fitness recently and the roller coaster ride I have put my body through over the years. I have also been thinking about how motivation is what keeps me fit. As such, I have decided to start blogging about fitness in 2015. My goal is to release two posts a month and talk about my fitness journey as well as some fitness tips I have learned along the way. I hope you enjoy the content!